A cover-up that spanned four U.S. Presidents pushed the country’s first female newspaper publisher and a hard-driving editor to join an unprecedented battle between the press and the government. IMDB. I found this movie difficult to engage with. Maybe you have to know the story better to understand all the moving parts going on here. I did love the acting overall. Seeing Bradley Whitford and Meryl Streep together on screen was even better than I expected it would be, and it seemed to me that he worked on that character to make him as Non Josh-Lyman as possible, the voice was different to the point I did not know it was him talking at times. 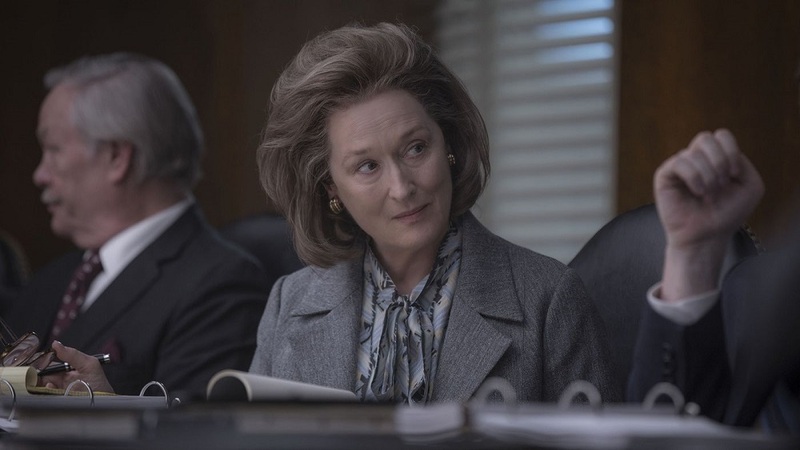 Meryl gave her usual fabulous performance but for me, watching Meryl play a lovely person is not at all a stretch of her abilities, nor is it half as much fun as watching her play someone unlikeable or someone who is demanding and even dare I say it bitchy. To date my favourite performance of hers is in The Devil Wears Prada. That character was something amazing to see. Bob Odenkirk was great in this movie and if you are not watching him in Better Call Saul you are missing out on an amazing performance from him there, too. Jesse Plemons – another Breaking Bad alum – was equally brilliant, and of course Tom Hanks was fantastic as always. Overall there were too many characters and too many balls in the air and at some point I gave up trying to follow along with the story and just sat back and admired the performances. Usually when I watch a movie like this I want to know more about the events when the credits roll I am already on the Googles and Tubes looking things up, but this was not such an occasion for me. I’m not sure this particular story required a two hour film to document it and I certainly do not think it required a cast – and crew because when it is Spielberg you know that is a big deal as well – of this magnitude. Definitely not the best movie of the year, nor the best newspaper movie of recent times. Spotlight was my personal favorite and I think one reason for that was keeping the cast smaller and also not letting the story go off on so many tangents unrelated to the story being told. Meryl being interrupted mid-speech for some random persons retirement in order to take a very important phone call involving most of the incredibly large cast in various different locations was a little out there for me. Not sure whether that really happened, it may well have, but it seemed like a bridge too far. Out of the three movies I mention here today, this is the one I did not love. I liked it and the cast was great, but given the choice I would suggest one of the other movies below. Competitive ice skater Tonya Harding rises amongst the ranks at the U.S. Figure Skating Championships, but her future in the activity is thrown into doubt when her ex-husband intervenes. IMDB. This movie is marketed as a black comedy but if you have ever experienced any kind of abuse in your life there is not very much funny about it. I am glad I did not see this in a cinema with people laughing at the abuse scenes, I did read reports of that happening. – but there was an aspect she forgot to mention. The years and years of training and competition that both Tonya and Nancy had put in to get to the Olympics in the first place. 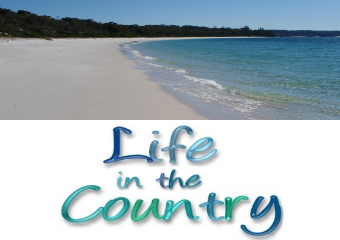 The many years of getting up at the crack of dawn, the hard work, all that effort.. These two ladies were both very talented skaters, Tonya perhaps even more so than Nancy. The loss of all of that for both of them due to “the incident”, it is incredibly sad. There were times when I felt like this was a domestic violence operetta set to bad 80’s music. If not for the absolutely incredible performances of Margot Robbie, Alison Janney and Sebastian Stan, I could not recommend this movie. But given those performances, I have to recommend it. Alison Janney plays the mother of Tonya Harding, LaVona Golden, who is a real person just as bizarre as the on screen version. Those of us who are Alison Janney fans already know she is incredibly talented and she has shown us her talent many times in too many roles to mention, the most notable and well known being CJ from The West Wing. But those past performances were eclipsed by this one. I have never seen anything like it and all I can say is WOW. Just, wow. A mother personally challenges the local authorities to solve her daughter’s murder when they fail to catch the culprit. IMDB. This was by far the best movie I have seen in a long time, and yet I am fairly sure that it will not win the awards that it should because of The Post. Sometimes movies perform a bit of a magical trick with a character and this particular movie performs that trick with almost all the characters – where you feel one way about them to begin with, then they take what you feel and turn it completely around. Most of the characters in this movie have moments where you think they are doing the wrong thing, and then moments where you think they are doing the right thing, or vice versa. And in the middle of all of that, there is a terribly sad story happening for one particular character. This movie will have you hating a character then absolutely cheering for them. It will leave you wanting more and wondering what happens next. 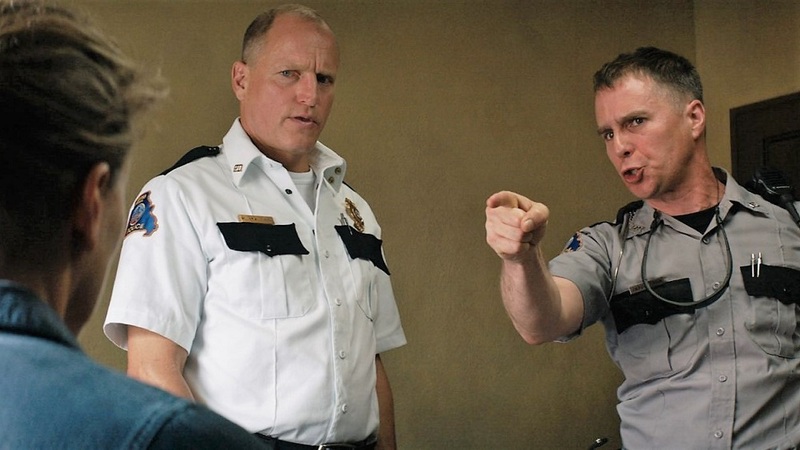 Frances McDormand, Sam Rockwell and Woody Harrelson all put in incredible performances though I believe in this instance Sam might be the winner of best performance in this particular movie thanks to some amazing writing and the character he is playing. Some of the supporting cast also shine brightly, and the town itself is almost a character in the story. I do not want to spoil any of this for you by telling you anything which makes it difficult to write a review. I will just tell you to go and see it, and BYO tissues. And I want to see the sequel to this movie, there has to be one surely! You can’t leave us hanging like that pretty please? You can see the Oscars today live from midday on Nine and it will air again from 7:30pm on Gem. Here are the 2018 Oscar Nominees. Remember last year, when The Terrible Incident happened? “They Got the Wrong Envelope!”: The Oral History of Oscar’s Epic Best Picture Fiasco. While on the entertainment subject, here are two great articles about MASH. ‘M*A*S*H’ Finale, 35 Years Later: Untold Stories of One of TV’s Most Important Shows and Memories of ‘M*A*S*H’: Inside Stories of the Most Famous Episodes (and Castings). I don’t know about the rest of you, but I grew up watching MASH reruns 5 days a week. I really loved that show. 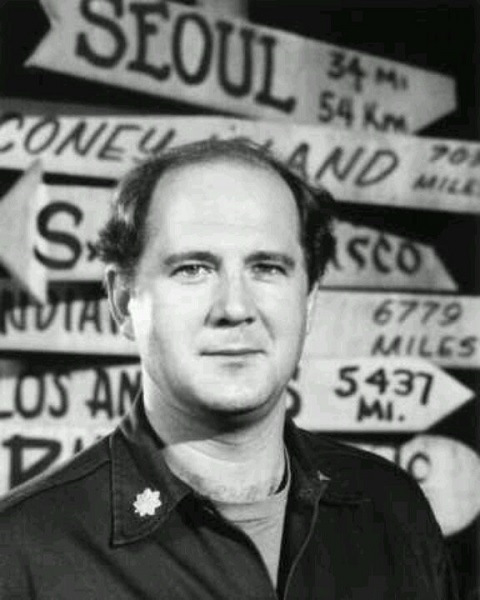 :) Peace out David Ogden Stiers who played Major Charles Emerson Winchester III. I am the opposite of you. I loved and was very engaged in The Post, while I disliked Three Billboards, in spite of the excellent acting. I loved Lady Bird, and was on the fence about The Shape of Water. (thought the quote at the end was amazing) The Darkest Hour was a good film, but not worthy of Best Picture in my opinion. I didn’t get to see I, Tonya or Call me by your name. I would like to see Call me by your name, but need to find a place close to me where it’s playing. I will admit that Three Billboards was full of people doing things they should not have done, and some of those things were a little tough to watch but I still loved it. It was maybe a little Breaking Bad like and I was a huge fan of that, so that might explain my love for it. That also might explain a bit of my non-love for The Post, because I spent so much time learning the tricks of how things are done thanks to the Breaking Bad podcast, things like that light above Tom Hanks head take me out of the moment and remind me this is a movie I am watching. I have Lady Bird, The Shape Of Water and Call Me By Your Name ready to watch soon. I’m probably not going to see The Darkest Hour, it does not look like my thing. :) I watched The Oscars and enjoyed the fashion show, especially Lupita and Danai. Thank you so much for your visit. As a matter of fact, I’m going to see Shape of Water today just because it won the Oscar. Haven’t seen the others. They sound very intense.